Dr. John Devine came with a team of medical workers to once again to help in more remote area of Haiti. The team was able to go to 3 different areas of the country. They worked long hours to see as many patients as they possibly could, not wanting to turn anyone away. There were many that got medical attention that they desperately needed. 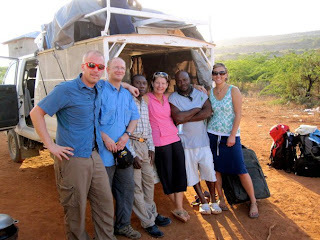 Brian Webster organized a medical team in October to go to a remote area of Haiti. We traveled many hours to reach our destination. The conditions were very primative with no comforts of home. They were willing to sacrifice their comfort to help with the medical needs of this community. They were able to help hundreds over the few days that we were there. It was the first time a medical team came to the area and the community was so grateful for the help they received. September brought much happiness to 4 couples. The gospel has changed the village at Acadien. After conversion there were several men and women in the church that were very unconfortable with living together as partners and not being legally married. 4 couples decided to have their weddings celebrated together in the church. It was a very joyous occasion for the families and the community. The boys and I take a break and get away for a few days. We packed up the truck with tents and supplies and camped out. We visited the Citadel which is a famous fortress and visited some friends from the Hope Internation Mission Church at Grande Riviere du Nord. In the picture from left to right is Rev. Ken Walter, Brother Canon, and Rev. Alan Walter. As Ken Walter visits La Victoire he is reunited with a brother of the Lord. Brother Canon was a young man when they were last saw each other. Each have put on a few years since then. 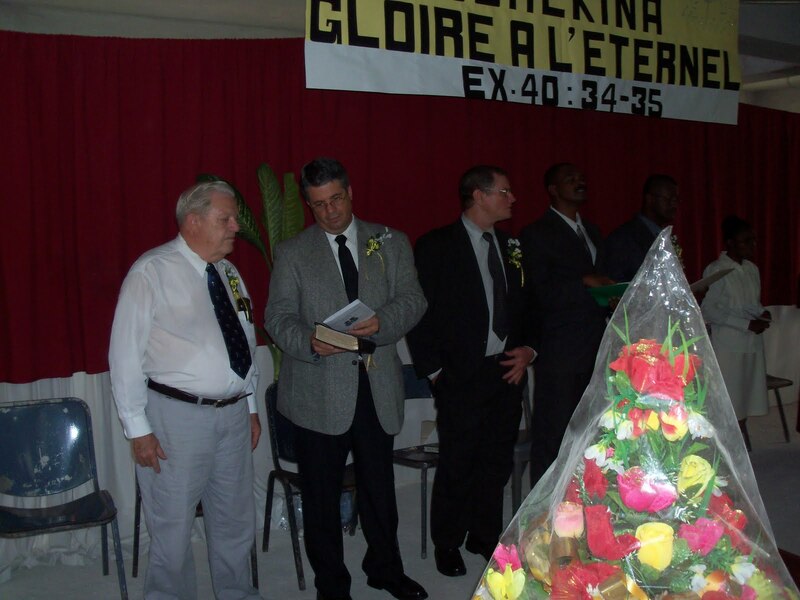 Brother Ken Walter traveled to Haiti many times earlier in his life and helped on several of the projects at the mission at La Victoire. It was a pleasure to have the Walters come to Haiti. Rev. Alan Walter was the guest speaker at the graduation. He challenged our graduates as they are commissioned to do the will of God. August 20th we had our Bible School Graduation. 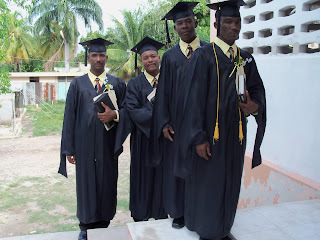 There were 4 men that graduated this year. We were not able to finish the school year in the month of May due to the earthquake with occurred the 12th of January.